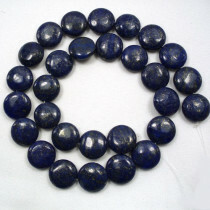 Lapis Lazuli is a rock type containing primarily Lazurite, Calcite and Pyrite. 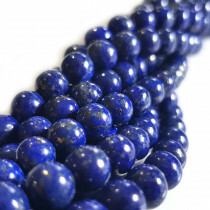 Lapis is Latin for “stone”, Lazuli is derived from the Persian word “lazhuward” and latin word “lazulum” meaning blue or heaven. 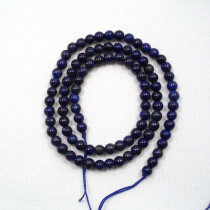 Mentioned in 2650 BC in the Sumerian epic of Gilgamesh and the Biblican book of Exodus. 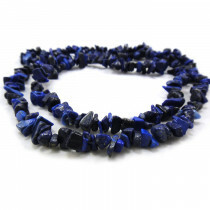 Ancient Egyptians used it extensively in religious ceremonies and Lapis items were found in the tomb of Tutankhamen. 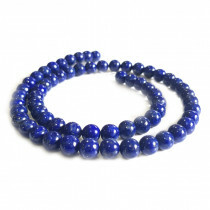 Lapis is said to enhance one’s awareness, insight and intellect. 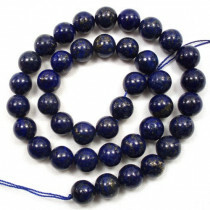 Brings peace and self acceptance. 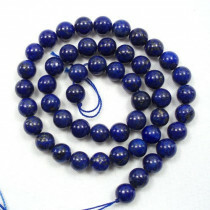 Lapis Lazuli Gemstone Round 8mm Dyed Beads (~50pce Strand) - ~40cm /16'" Strand. 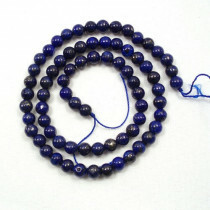 Lapis Lazuli Stone Coin 14mm - Dyed (~29pce Strand) - 40 cm /16'" Strand. 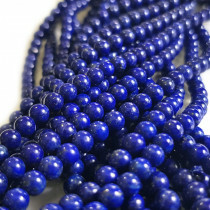 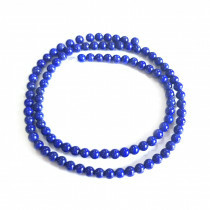 AA Grade Natural Lapis Lazuli Gemstone Round 6mm Beads (~66pce Strand) - ~40cm /16'" Strand. 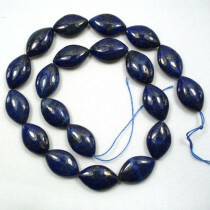 Lapis Lazuli Stone Chips 5x8mm - Dyed (~160pce Strand) - 91cm /36'" Strand.